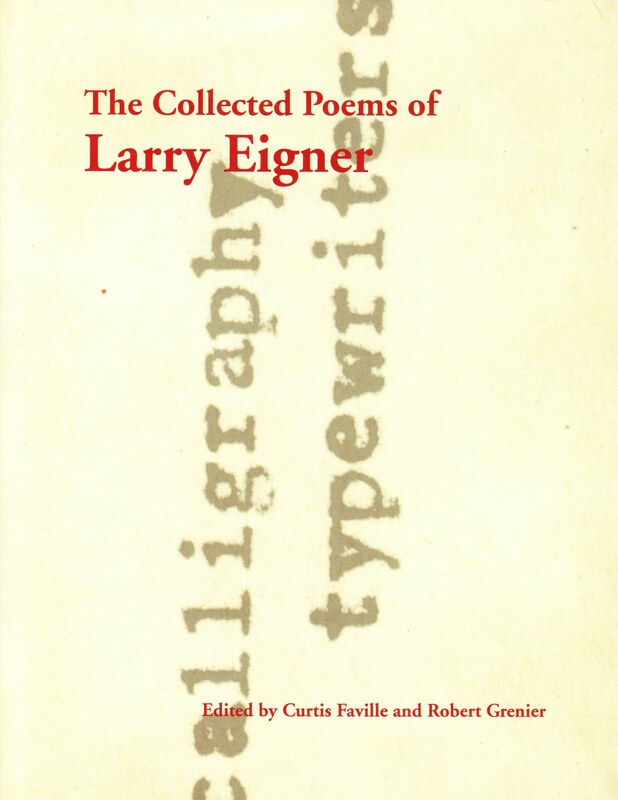 There are many pathways through the magnificent garden that is The Collected Poems of Larry Eigner (Stanford University Press, 2010). 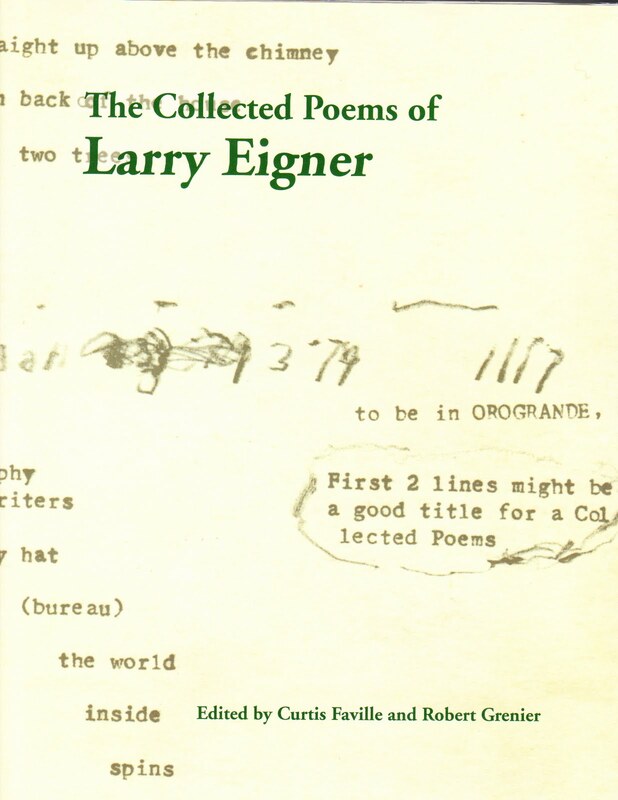 I’ve previously written about Eigner’s marvelous poems-from-the-news (click here if you please). Today I discuss and share a few examples of another fascinating subset of work in the books: poems that have but one word per line. There are thirty-four (34) such poems among the 3,000 plus in The Collected Eigner. 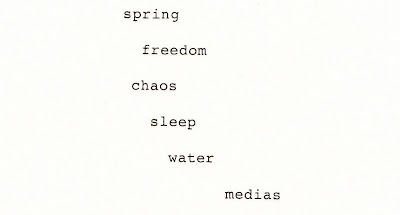 These one word-per-line poems excite me for a couple reasons. First, they are compelling evidence of a change in Eigner’s work that took place after 1970 or so. I must disagree. To me, many poems written after 1970 don’t “look remarkably like” those completed by Eigner earlier in his career. Even just eyeballing the books, there’s an obvious tilt in Eigner’s last approximately 25 years towards poems – lines – of an even greater sparseness. I write “even greater sparseness” purposely, to emphasize that the post-1970 change was a continuation, a refinement (though a striking one), of what Eigner had always done. From the start he almost always wrote poems of very short lines, hardly ever writing in long Whitman-esque (or Ginsberg “Howl”-like) lines crammed with words. 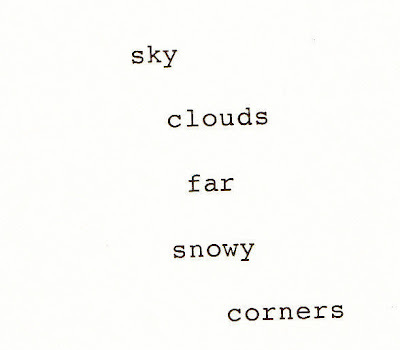 In the 1950s and 1960s, poems with average words-per-line counts ranging from approximately 2.25 to 4.00 (or so) are typical for Eigner, and it’s quite common for those poems to include a good number of single-word lines. 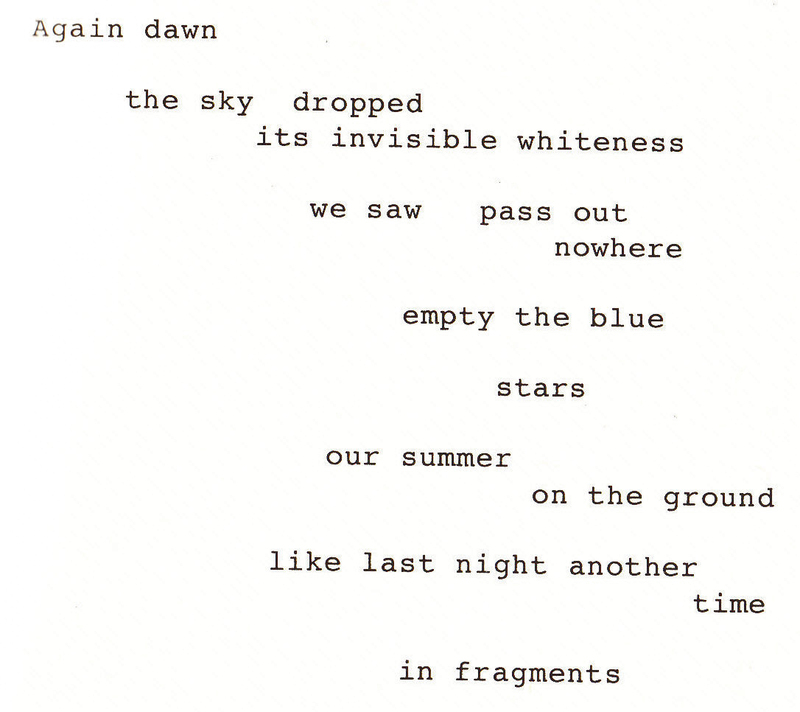 “Again Dawn” has – you can count ‘em – 29 words in its 12 lines, or (do the math) an average of 2.41 words-per-line. It also includes three single-word lines. All this is more-or-less typical of what Eigner wrote in the 1950s and 1960s, except that the words-per-line count is at the low end of the range of what you’ll find in those poems. By any measure, it’s very spare poetry. But the spareness of Eigner’s poetry gets taken to a whole different place after around 1970. After approximately that date, Eigner wrote large numbers of poems that are measurably sparer than those written in the previous two decades. In this regard, the poems with but one word per line are Exhibit A. 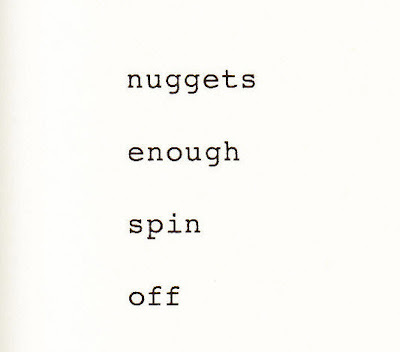 Between 1950 and 1970, Eigner wrote no poems – zero – that exclusively used single word lines. In contrast, after 1970 he wrote a total of 43, with one or more written most every year between 1971 and 1992. Similar disparities in numbers of poems before and after circa 1970 can be seen if essentially any words-per-line average below 2.0 is used as the measuring standard. 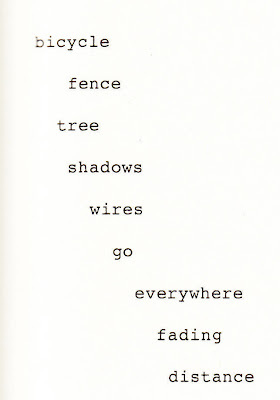 Consider, for example, Eigner poems that are almost but not quite entirely comprised of one-word lines. Among these are poems with five words over four lines (i.e, an average 1.25 words-per-line), six over five (an average of 1.20 words-per-line), and similar configurations, including 11 words, 9 lines (1.22), 15/13 (1.15), and 22/18 (1.22) -- these all actual totals taken from Eigner poems. Again, I’ve done the counting and calculating. 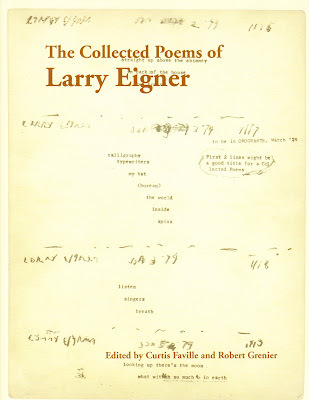 Before 1970, Eigner wrote only five poems that average 1.3 or fewer words per line (these were written in 1959, 1966, 1967, and two in 1969, respectively). 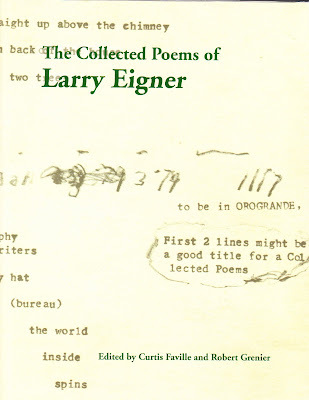 In contrast – and again, I’ve counted them and could if called on specifically list them – Eigner wrote at least 59 such poems from 1970 forward, in addition to the 34 poems that contain only single word lines. And there’s more! In the first two decades of Eigner’s work there are only a handful of poems – if that many – that average less than two words per line. In contrast, from 1970 on there are dozens of poems that average more than 1.3 words-per-line (and thus are not included in the totals given above) but nevertheless still average well under 2.0 words per line. These include poems of four words over three lines, or eight over six (1.33 words-per-line, as in Eigner ## 1663 and 983 ', respectively), and those, to take a couple of random (but real) examples, 26 words over 19 lines (1.36 words-per-line, as in # 976) and 29 over 21 (an average of 1.38, as in Eigner # 1042). Or for that matter, poems with nine words over six lines or 15 over 10 (an average of 1.5 words-per-line, as in for example, ## 429 and 464, respectively). These statistics, admittedly, are hugely pedantic. Even, dare I say, legalistic. And so I hereby submit the case for your review: the increase in numbers is exponential, and of the main point there can be no doubt – there was a significant, measurable move by Eigner, circa 1970 and after, towards the writing of poems of the most spare lines, sparer even than the very spare lines in the poems he wrote in the 1950s and 1960s. In a moment or two here, I’m going to take a closer look at a few Eigner one-word-per-line poems. But before that, permit me to pause, to reflect on what I assume is a natural enough question: what caused the shift towards ever more spare poetry after around 1970? An obvious answer is one I’ve already suggested: Eigner decided to continue along the path he’d long followed in poetry. Understatement. Sotto voce resulting in the suppression of words. Allowing in his poetry a freedom both to go along and (importantly here) end. To further foreground force and immediacy, not clarity. The many post-1970 poems of single-word lines, or extremely low word-per-line averages, are thus a refinement, a further pursuit, a heightened exploration, another facet, of the core principles that always animated Eigner’s work. There’s also the possible influence of the at-the-time explorations of poetic minimalism by others. 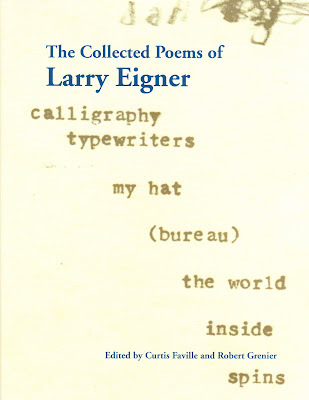 By all accounts Eigner was a voracious and vigorous reader, and surely the knew the work of, for example, Aram Saroyan, Clark Coolidge, and Robert Creeley, among others. 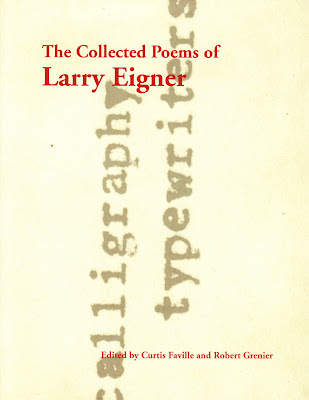 Along the same lines, Eigner also had known for years the work of poet Cid Corman, who from the late 1950s forward wrote and published mostly very spare poems (and translated or adapted haiku from the Japanese). Then there is Robert Grenier, whose Sentences, written in the early 1970s, have their fair share of poems made of but one or two word lines. Grenier and Eigner met January, 1971, and Grenier almost immediately became Eigner’s chief friend and only poetry organizer. After Eigner’s 1978 move to Berkeley, Grenier soon enough became a caretaker for Eigner, sharing a home with him for a decade. The influence, both ways, must have been immense. All right, let’s get this party started. Yes, let’s look at a few poems that have but one word per line! Among the key characteristics of Eigner’s work, identified long ago by his fellow poet-readers, are “stanzaic phrases,”and poems that “proceeded . . . line to line” with “each line a new mind” (quoting here Robert Duncan (1967), Barrett Watten (1985), and Clark Coolidge (1978), respectively). 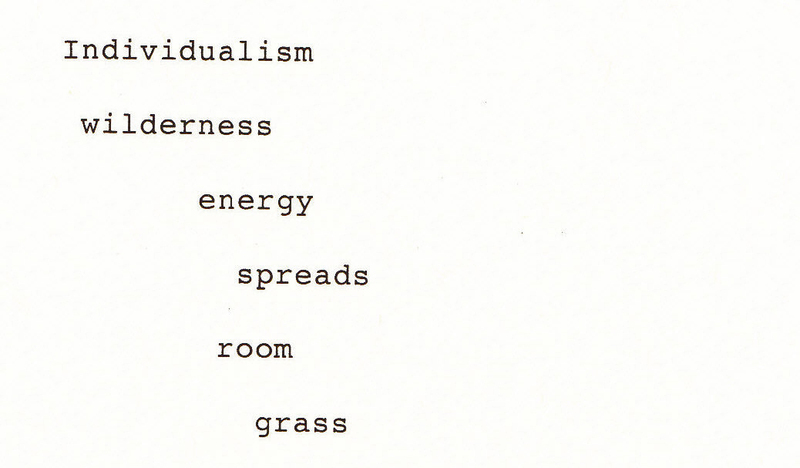 With these characteristics in mind, it’s fascinating to consider Eigner’s poems that only use single-word lines. How does the “stanzaic phrase,” or “each line [as] a new mind” work when Eigner exclusively uses the sparest line of them all – the single word? Here, the concrete gets mixed with a touch of the more abstract (“far”), with the final word/line also multivalent, in that it could refer to an interior (the “corners” of a room), an intersection on the street, or, for that matter, those places in the mind where ideas meet. 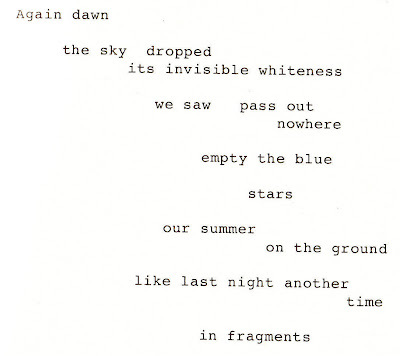 Query too, given the date of the poem, where the “snowy” arises from – Eigner most likely was in Berkeley. I can’t find weather records on-line, but snow in Berkeley (a dusting on the hilltops to the east) does occasionally happen. 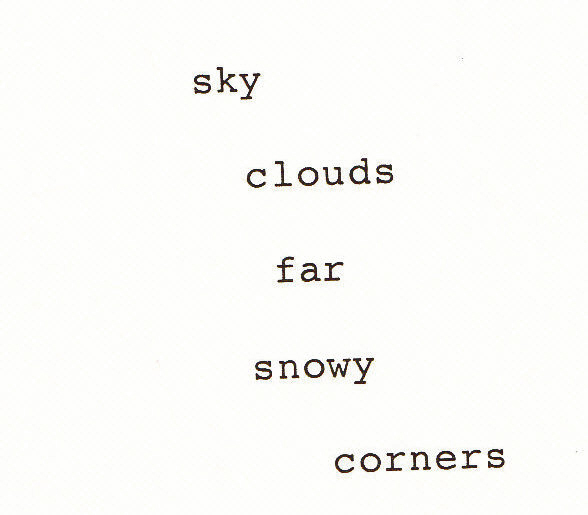 But it’s also possible that “snowy” happened only in the poem, a memory or imagined event from Eigner’s mind. Or it could be a metaphor for obscure and soft that contrasts with the sharper “corners” that follows, or which serves as something more immediately (even viscerally) present than the “far” which precedes it. In any event, there’s no question but that there’s some, even much, word/line-to-word/line energy here. Obviously, the first five words/lines here can be taken as concise descriptors of things seen (or remembered), perhaps even in the exact sequence presented. 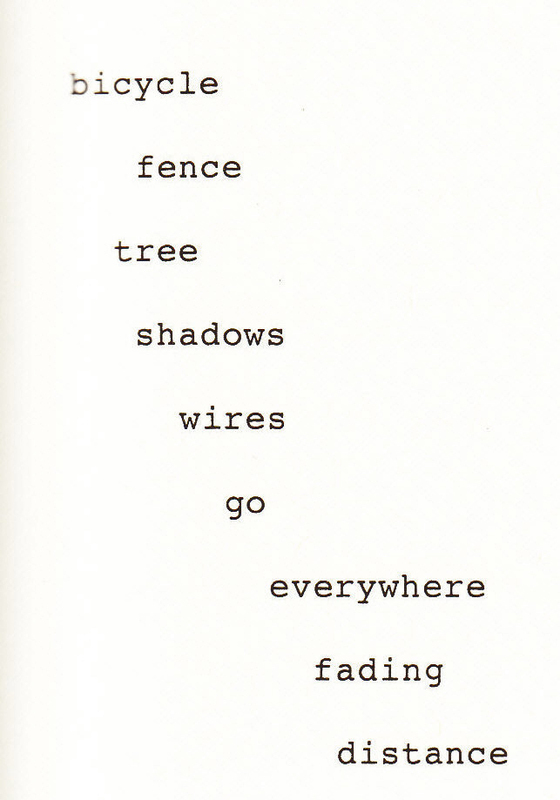 Notice, though, that “shadows,” – and this is a characteristic Eigner move – can relate both to the three objects that come before it (“bicycle // fence // tree”), the object (“wires”) that comes after it, and to none of those things at all. Similarly, the “go // everywhere” that follows the first five lines could act on the immediately preceding “wires” or the whole kaboodle of what’s been presented before. But also, “go // everywhere” is also what happens in the poet’s (the reader’s) mind, a description of how thoughts travel in the head. And all this too can be said about the concluding “fading // distance” as well. Now let’s end the main part of this post with the b-i-g one, the longest by far of Eigner’s poems that use only single-word lines. Recognize, please, that almost three-quarters of Eigner’s single word/line poems (32 of 43) are quite short, with five words/lines or less. 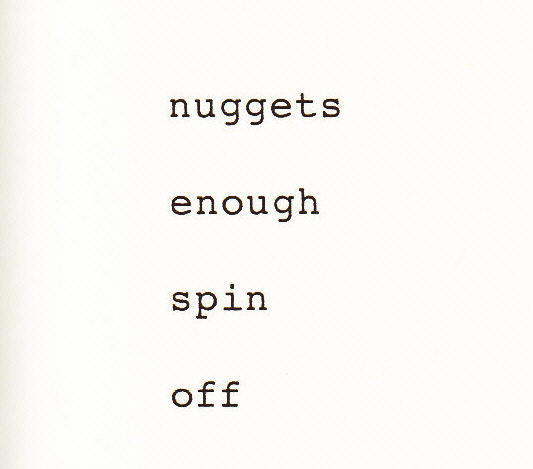 There are also two poems each with six, seven, eight, nine, and ten words, respectively. 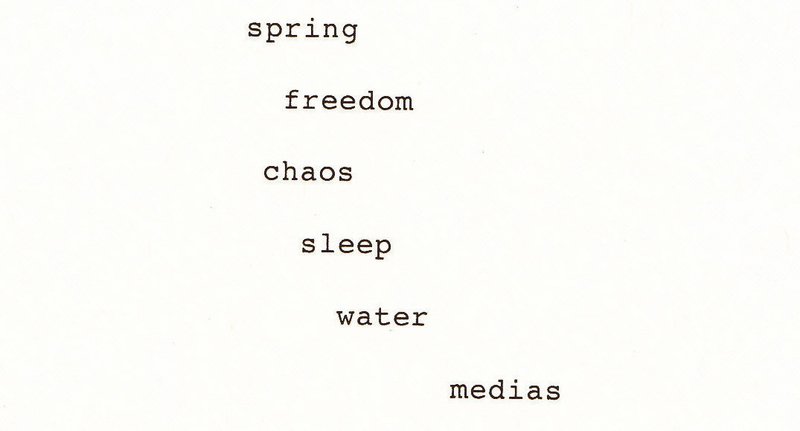 That’s another ten, leaving one last poem. # 798 (July 27, 1973) ... III, 1164 ...... 10/10 .......... “breaths // between”. Minimalism was in the air in the 70s and early 80s. It was, in part, a reaction to the pop art of the 60s. "The practitioners of pop art were farting in church," observed Robert Morris. I can't help but wonder if Eigner weren't nourished by this fresh new direction, especially one that fetishized space to the extent it did. Space was a huge component of mimimalist art. "God," observes Morris, "resides not in the details, but in the spaces between them." You can sense that in both the single word lines and their pronounced asymmetry. Here is another Morris axiom: "Solidity is just resistance, shape is the termination of resistance, and motion is the communication of resistance from space to space." I really feel that when I read Eigner's single-word lines. I've thought for a long while--and I'm not alone--and this isn't exactly news--but Grenier, who lived with Larry for over a decade, was his caretaker in fact--influenced Larry, just as Larry influenced him. Larry never spoke much about influences--one senses that maybe he had a powerful enough original vision that noting them, where appropriate, was just unnecessary. 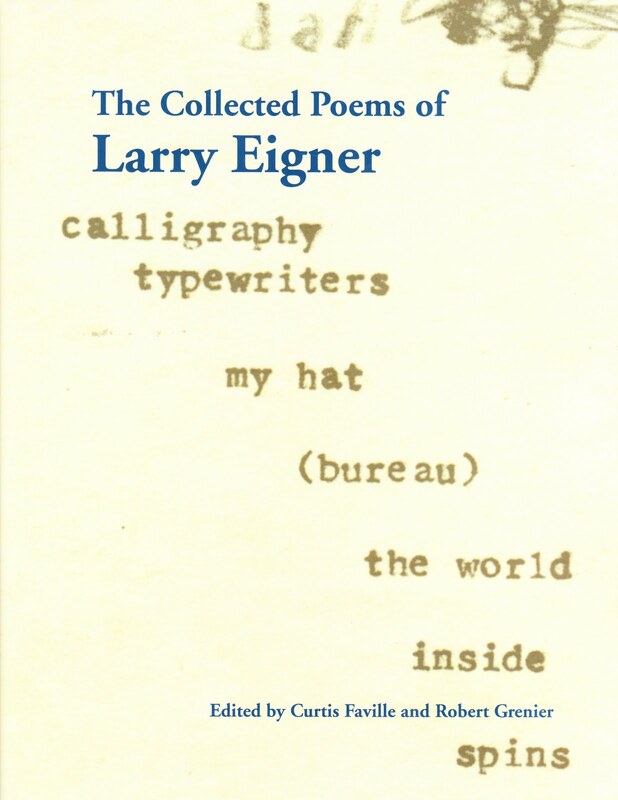 Bob has mentioned to me on several occasions that the labor of typing Larry's poems--to establish finished versions--was a real "education" in the possibilities of the different uses of spacing and ellipses, "jumping" conceptually and seeing four-dimensionally inside poems. You begin to see Larry's work become more streamlined in the early Sixties, then in the period beginning with his co-habitation with Grenier, it becomes tighter, hipper, and less ratiocinative. What I'm suggesting is that there was a synergy between these two important voices. 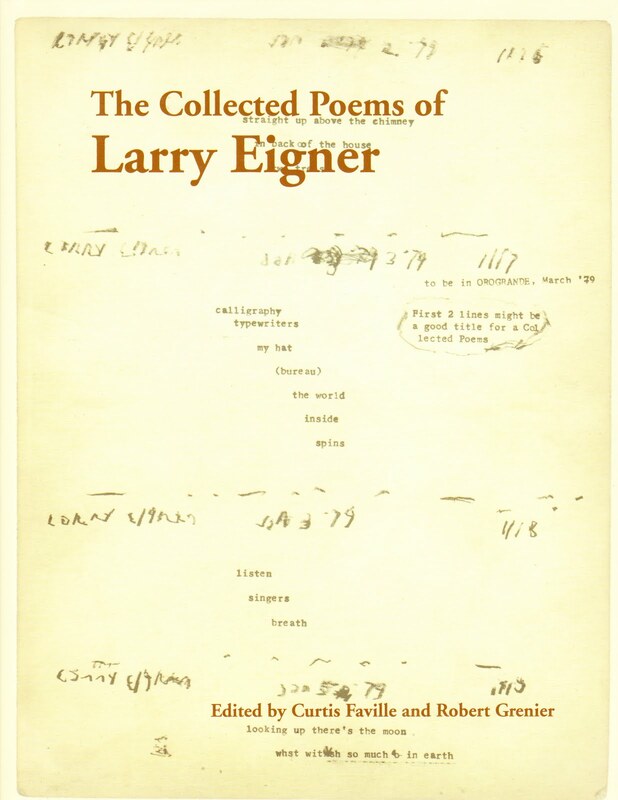 Eigner "found" his style and voice as early as 1952, then there was a big breakthrough in the poems written, mostly in the early Sixties (which we see in another time in fragments). (Compare, for instance, the poems in On My Eyes with those in ATIF, and you'll notice a shift.) 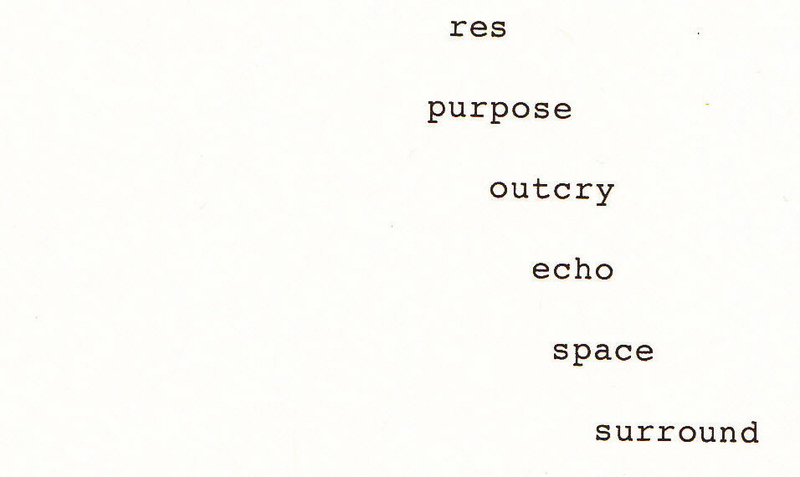 Then, in the late Seventies, these minimalist, stripped-down, "lean" poems begin to appear. That's clearly the influence of Grenier, who, by the by, was influencing everyone at that time--including most of the Language Poets (and me too!). Bob had fallen head over heels in love with Creeley's Pieces, and the natural descent from there was to Bob's increasingly spare lyrics, and eventually the scrawls. The notion of "counting words"--dear to the late abstract academics like Josephine Miles, who made precise counts of certain syntactic occurrences and structures--I think Bromige was interested in her work for a while--is one I find uninteresting, but in terms of a measure of Larry's changing aesthetic, it does show something specific. With respect to likeness over time, I do think if you read the early poems, from, say 1952, you see he's established an approach to the line which he will continue to use, with minor refinements for the next 40 years. In other words, he established his identity through language, early on. There was never any doubt about an "Eigner poem" over that whole period. You'd pick up a magazine and you knew immediately who it was. The look of the words on the page, the conversational tone, the ellipses, everything. There's really no argument about that. When you write of Eigner and Grenier that "there was a synergy between these two important voices," I agree completely. Which is why in this post I specifically wrote regarding those two poets that "the influence, both ways, must have been immense" (emphasis added). I don't know what you mean when you write, regarding Eigner: "In the late Seventies, these minimalist, stripped-down, "lean" poems begin to appear" (emphasis added). 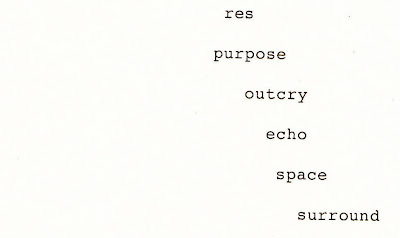 The time-line of one word per line poems in the post clearly shows that it was the very early 1970s -- not the late 1970s -- that these poems began to appear in Eigner's work. The same exact thing is shown in the associated time-line I have of poems that are almost one word per line. It all begins, and in in earnest, in the early 1970s . You also repeat here your view, consistent with what you've long asserted, that Eigner's "approach to the line" with "minimal refinements" stayed the same over 40 years. "Hm," to use an Eigner-ism. Or to use another of his terms, "Wow." You know what? All I'm going to say is thank you for the work you did to get all Eigner's poems out here, so we can decide for ourselves what did or did not happen in Eigner's poems over the years. I think there's a big study, waiting to be done, on the meaning of "drift" in Eigner's poems. As you correctly note, the rare instances of straight left-hand margins is usually employed to signify a distinctly different quality of content, or syntactic movement, within a poem. Visual movement, as a principle of staged kinetic release, is a crucial component of his technique. 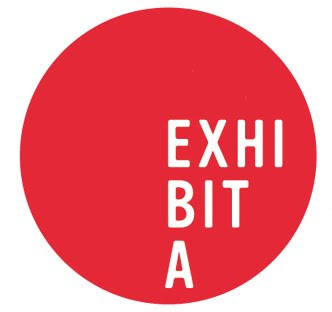 Having set up "drift" as an expectation, Eigner creates a kind of stretching or "disciplinary" rigidity out of the left margin--the quality of emphasis, then, becomes many times greater in value than it does with traditional left-margin poetry, where the expectation is then exploited with trochaic finality, like a hammer-stroke. BTW, an earlier post I commented on here seems to have been schnarfed. I thought you might have moderated it out, but then I note that my post here, just above, went up unmoderated. Ultimately, in discussing things with lawyers (aren't you one?) --and this was something I found particularly true with Seth Abramson, for instance--the argument begins to seem more important than the subject. In legal discussions, the truth is often held hostage to legal procedure and the persuasiveness of argumentation, almost as if evidence were the raw data of creative misinterpretation. This is what I would suggest about "word-counts" for instance as a meaningful measure of approach to a critical apprehension of the "shifts" in Eigner's approach over the decades. Ironically, it's arguable that Larry would have become a lawyer, had he not been confined to a desk in his parents' house. I wonder what he would have made of mathematical counts of his poem-words as a meaningful measure of his work. Compare, for instance, T h e D a y B r e a t h e [#69], with s t a r r y f i g u r e s [#1625.0]. Are not the similarities of approach more significant--especially since these two poems are separated by some 35+ years--than their respective "differences"? The quality of syntax, the movements of mind and pacing, are remarkably alike. What, for instance, do the numbers of poems about current events tell us about Larry's poetry? There's more horizontal "drift" in the work as time goes on, for instance, to note one aspect of development. But the look and feel of Larry's poems is a constant throughout. Attempting to argue otherwise strikes me as unhelpful, at least in the long run. It's the same mind, the same sense of massing and ellipsis. He just gets better and more effective over time. Can you please explain what you meant when you wrote that Eigner's more minimal work began to appear in the "late 1970s"? I'll happily discuss your other matters, but would first like to finish up on the first thing you said (and I responded to), before I forget. Until then, to everyone: I highly recommend a wonderful post on Eigner by Ben Friedlander (this but the latest in a seires he has done). Friedlander's post takes in Eigner's childhood work, and it's a beautiful thing, including the images (click here to go) . Steven: It's partly a matter of the meaning of the work. Minimalism isn't just a count of words--it's the approach to how the words are used. Larry wrote very short poems throughout his career, though increasing frequency in time. Between 1968 and 1988, say, perhaps 40% (maybe more?--I haven't really thought about it on those terms) by the numbers are poems of two or three lines or so. But the quality of that brevity underwent a sea-change when Grenier entered the picture. Actually that begins a bit before Larry removes to Berkeley. Bob began to visit Larry while he still lived in Swampscott, helping him type and organize his desk and so forth. I think the "influence" probably starts some period before they actually began to live together--Larry was taken up by Watten and Bob by about 1971 or '72, and Larry was paying a lot of attention to Bob's work from that point on. But, for me, the watershed mark in Larry's work is when he arrives in Berkeley, and the whole world opens up for him--the impact of all that sudden socialization--denied him for so long up to that point--obviously combined with Bob's light wit and charged humor--to liberate him to a significant degree. I'm not defending this on the basis of numbers--or word-counts, but on the sensibility of the poems themselves. See what you think as you become more familiar with the work. Curtis, your assertions about how the words were used, the "sensibility" of the poems doesn't tell me much, sorry. Eigner went more spare, more minimal, in a big way, exactly as the numbers show: in the early 1970s. Not the late 1970s after he got to Berkeley. You know, you write about Eigner and Grenier almost as if you think I don't know the facts you relate, even though I write of them explicitly in the post. Hmm. Here's a fundamental point about Eigner's poetry after he got to Berkeley, and had the "sudden socialization" (your term): he wrote far, far fewer poems (on average) than while in Swampscott. Thanks again for doing the work to get Eigner's work out in the world, even if I'm disappointed in certain matters as to how it was done. As I've said before, now everyone can show exactly why they think what they think about the poetry, and decide for themselves. I can't read all these comments at the moment, but let me concur with your main point. Eigner started out, despite our thoughts to the contrary, constrained by the idea of the poem as a block, and he played against that construct a bit. But in the 70s he took off. His visual presentations, which tended towards diagonals from the upper left to the lower right, became more insistently so, and he stripped the words away, almost, and sometimes did, give up with syntax, in a conventional sense, becoming almost a concrete poet. It's an amazing transformation, even though it occurs slowly, over time. To see this in the books is to see a reality that might not have been clear at the time. In other news, just for your information, I was the one who taped and posted the reading that Vanessa Place gave in New York City a few weeks ago. Didn't you read my postings? Just teasing. Be well and keep writing, and keep remembering what a remarkable gift Curtis and Grenier have given us with this massive book of Eigners. I'm so far only through the first of the four books, but I've finished 115 other books this year, and I can't keep up with what I want to read. I assume you understand that need. Thanks Geof, for stopping in, and thanks too while I'm giving thanks for posting the recordings of the Behrendt/Place readings. I'd "seen" those on your post even before Ron S. linked to 'em. I don't think I attributed them to anybody else, or did I? If I did, that was a mistake. I sure do understand the reading possibilities in current poetry such that such that you're just finishing up Volume I of the Eigner, given all the rest you've been reading. I took a different approach, dropping almost everything else to go (read) through and through again, etc. the Eigner. I appreciate your view of Eigner's move towards ever more spare poems. The numbers are the numbers. But as I write in the post (almost the first thing I say), the change to (to use your term) "stripp[ing] away" of words starting circa 1970 can be seen just by (my word now) "eyeballing the books." As I've written here in the post, I highly recommend the Stanford volumes, even with my previously expressed concerns. And even with another problem, one I haven't expressed except in scattered comments: the absence of any indication of what poems are previously unpublished. Even with all that, it's great to have all these Eigner poems out here. Enjoy Volumes II, III, and IV! No, Steven, you didn't attribute the recording to anyone else, but you didn't seem to realize who'd done it, so I wanted to note my hand in it, maybe especially because I'm usually so behind in posting evidence of the readings I document! On May 12, 2010, this post was revised to add nine (9) one-word-per-line poems to the list originally posted, and to modify the totals mentioned in the post's narrative. This was done after Andrew Rippeon, of www.p-queue.org, kindly let me know that my original list (of 34) one-wor-per-line Eigner poems was short by nine. Thanks Andrew!